We’re all born with a powerful musical instrument, ready to be played after just a few years of age. One that’s been used to inspire generations of people across oceans, borders, and cultures. But most people, even those with exceptional natural talent, don’t know how to command their voices properly to make inspiring music. When people decide to learn to play just about any instrument, they often seek out lessons from a qualified instructor. But for some reason, people don’t treat their voice the same way. 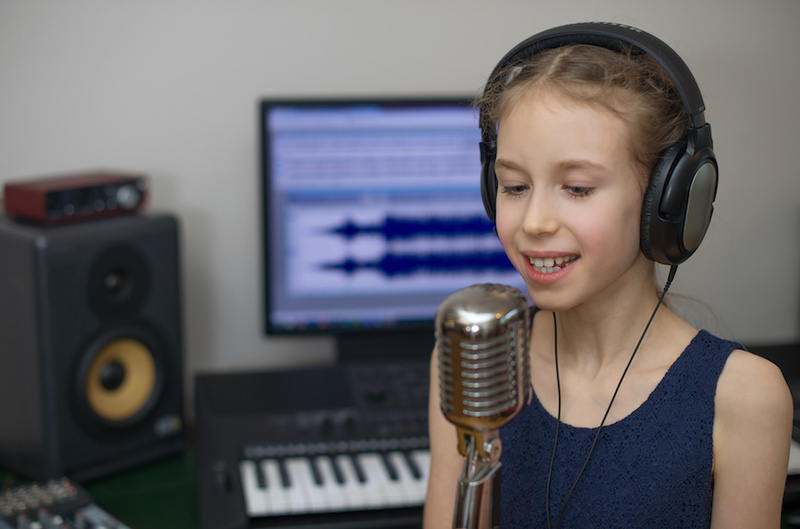 At Arts & Minds Academy, we help children find their voice - quite literally - and develop the critical skills necessary to make the music that they are passionate about. 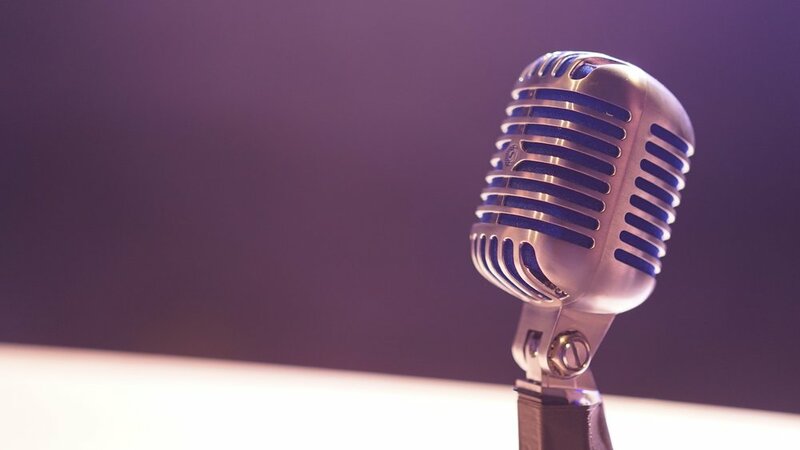 Whether participating in a choir, aspiring to be a singer/songwriter, fronting a rock-band, or anything in between, your voice is a flexible instrument that can be developed just like any other. Vocal training, especially at a young age, leads to a lifetime of enjoyment. And you can get started on that journey today with zero-risk. Claim your risk-free trial, and we’ll give you your first private in-home lesson. If you don’t enjoy it for any reason, don’t pay a dime. It's that easy. We’ve created a new kind of music school that aims to give young people a passion for music that lasts a lifetime. A critical part of our approach is removing every barrier to learning music, including the hassle of having to drive to a studio to take lessons. Instead, our dedicated instructors come to you. We work around your availability and take care of all the logistics for you. We feel that this convenience, paired with the value of learning in a familiar and comfortable place, gives our students the greatest opportunity to grow through music. With the click of a button, you or your child can begin their journey with music with absolutely no-risk and no obligation. And you don't even have to take time out of your busy schedule! One common misconception is that talent for singing is something you either have or you don’t. The truth is, everybody can benefit from a higher level of command over their own voice. Whether your child wants to be a professional singer performing for thousands of people or just an entourage of shampoo bottles, learning how to sing is fun, rewarding, and delightfully empowering. For those that are naturally gifted, it’s always beneficial to nurture and enhance their singing voice. Our instructors have decades of experience leading choirs and working with soloists, and they’ve never once met a musician that didn’t still have room to grow. Even the most gifted singer needs to understand core concepts like proper breathing technique, projecting from the diaphragm instead of their throat, and pitch matching exercises. Each of these fundamental skills can be practiced and refined to improve your voice. Additionally, we emphasize skills like reading vocal music and learning harmonies to develop them as a musician overall. If you want to sing in a band or choir, these are essential skills for working with others. Some music schools are stuck in a mindset that there is only one way to enhance your voice. Their backgrounds in musical theatre, choir, or classical styles have limited their perspective too much to effectively teach students that are inspired by more modern musical trends. While the basics remain mostly the same across genres and styles, each requires a unique approach to the learning process. An aspiring pop or rock singer can grow by performing classical pieces, but there are two fundamental problems with this method. One, it doesn’t help the student develop a relationship with their voice when they are forced to engage with music they aren’t passionate about. At Arts & Minds, we believe that this is an essential and too often overlooked element of modern music education. We want to foster a genuine passion for the art and give our students something that will make them smile for years to come. Second, when they do ultimately pursue the music they genuinely want to perform, they have to relearn a lot of core concepts. This hinders their overall development as a musician as they are forced to take steps backward in their education before moving forward. We have a team of music teachers with relevant experience in all styles of music. Whether your child is inspired by the classics, rock, R&B, or anything else, we have instructors who can teach practical skills relevant to those styles while working on fundamentals. We can help your child improve range, power, and flexibility without forcing them to sing music they don’t truly enjoy. We’ve found that this approach not only creates talented vocalists with a real mastery of their voice but nurtures a genuine passion for the art in the process. The result is giving the student a cherished skill that they can enjoy for the rest of their life. Another key part of our approach is teaching in a way that leverages music to develop the whole child. For vocalists, we emphasize values like confidence, teamwork, and patience. Confidence is especially important for any aspiring vocalist. As a part of our commitment to developing the whole child - not just their musical skills - we teach singing in a way that emphasizes building confidence and skills simultaneously. There’s nothing more empowering than walking on stage in front of hundreds of people - not thinking, but knowing you can make an impact. This confidence isn’t confined to the stage. It overlaps with all of your other pursuits. For children, we feel that this is an essential element in their development that will benefit them for a lifetime. Singing at its core relies on these essential virtues, and provides children with an exciting and engaging way to interact with them. We also bring them together with other students so they can experience the value of working well with others to create art. If you’d like to read more about our unique approach to music instruction, check out our Four Pillars. The best part of all of this is you don’t even have to take our word for it. We offer interested students or their parents the chance dive into their first lesson with zero-risk. We’ll send a voice teacher that’s the right fit for your style directly to your home. They’ll provide a fun, engaging experience that gives real value - the gift of learning music - or you don’t pay a thing. If you aren’t 100% convinced that Arts & Minds or in-home lessons are right for you, we’ll shake hands and walk away without charging a penny. All you need to do to begin your adventure with music is click the button below. We’ll give you your risk-free lesson when it’s convenient for you.